Success in our business is all about making smart decisions on a daily basis. Fab Choice can help with answers at these critical moments. ASK About FC Profit Consulting, our exclusive consulting service for serious fabricators. By working in-concert with clients we assess everything from the office software systems, employee talent assets, space and plant layout utilization, equipment capability and templating-to-installation streamlining. We provide planning for more efficient production that delivers greater profitability. Whether your needs require digital integration from office to shop or a ground-up development of a complete new facility Fab Choice has your answers and solutions. The World’s #1 digital Templating System just keeps getting better with added power capabilities. Now with Auto-Create Miter Strips, Auto-Create Lamination, Auto Dimension On PDF Output, and more. PhotoTop tops all other technologies for making templating fast, accurate and easy-to-use. 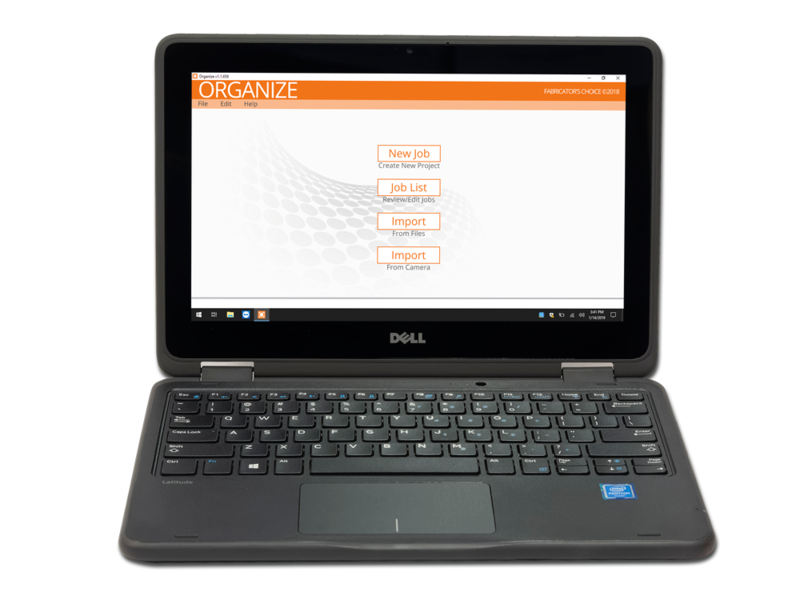 Our exclusive ORGANIZE Onsite Tool provides immediate onsite confirmation and file delivery of the most highly detailed digital templates in the business. PHOTOTOP users enjoy constant upgrade options due to our ongoing R&D developments. Retire that heavy, dated tripod-mounted equipment and visit more job sites in less time with superior results. Let us show you why the switch to PHOTOTOP 5 TOPS ALL. Be sure to ASK About Our Investment In North America with the establishment of Burkhardt-Loffler North America. A complete stone surface production facility is now under construction at our new 45,000 square foot facility in Cottage Grove, Minnesota. It will feature the industry’s most sophisticated, digital manufacturing systems available. As a sales, service and training operation we provide customers the equipment, software, and information resources designed for continuously efficient, safe and profitable stone countertop manufacturing. Success is a Mindset — At Fabricator's Choice we base our success on helping countertop fabricators make key systems and equipment purchase decisions while working closely to create long range, profit-oriented growth strategies. Fab Choice Digital Manufacturing puts fabricators in charge of the things that greatly impact the bottom line - Everything!